A chance for you to work on your dialogue chops and win free prizes! The last four years at this time, we’ve kicked off the New Year by holding a month-long Dialogue-Writing Challenge. It’s been a big success with dozens of writers participating each session. We all learned quite a bit about this important aspect of the craft, plus we had some fun in the process. So I’ve decided to bring it back! Every Monday-Friday in January, I will upload a post with a prompt for writing dialogue. Each day, write a scene per those guidelines. If you really want to get in the spirit of things, upload your scene here in the RESPONSE SECTION of the original post. That way you can critique others’ pages and receive feedback on your dialogue as well. To provide extra motivation for this series — to get people to WRITE PAGES — I am giving away some of my Craft classes to Dialogue-Writing Challenge participants. That’s right: For free! Each is a 1-week online class featuring 7 lectures written by me, lots of screenwriting insider tips, logline workshops, optional writing exercises, 24/7 message board conversations, teleconferences with course participants and myself to discuss anything related to the craft of scriptwriting. A popular option is the which gives you access to the content in all ten Craft classes which you can go through on your own time and at your own pace, plus automatic enrollment in each 1-week online course. All for nearly 60% the price of each individual class. And special bonus content: 7 lectures on How to Introduce Characters so a script reader will immediately get a clear sense of who each character is… and be entertained in the process. IF YOU SIGN UP FOR THE CRAFT PACKAGE TODAY, YOU CAN BE SURE OF ENROLLMENT IN ALL 10 OF THE CRAFT COURSES IN 2019. To qualify to take one of my Craft classes for free, write and submit ten  Dialogue-Writing Challenge posts, then provide feedback on ten  posts from other writers. The former to get you writing, the latter to work your critical-analytical skills. ISN’T THAT AN AWESOME IDEA?!!! Limit your response to 2 pages. Out of fairness to everyone participating in the public dialogue-writing workshop, let’s not abuse anyone’s patience or time with really long scenes. Give your scenes a beginning, middle and end. You may enter late and exit early, but provide an arc to each of your posts. Even monologues or telephone conversations, both of which we will be doing this month. RHETT: Frankly, my dear, I don't give a damn. 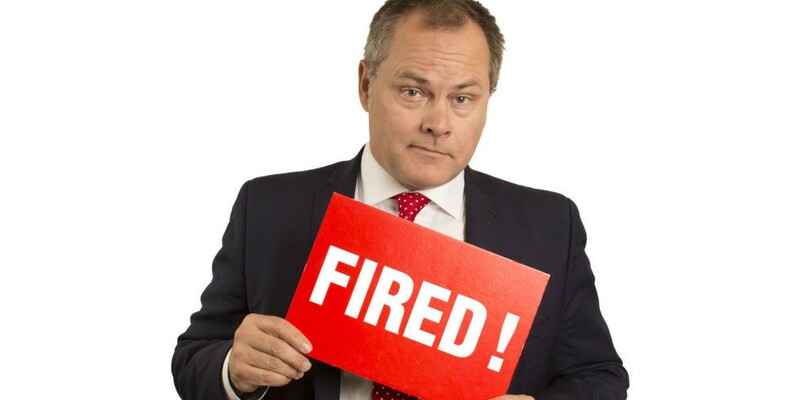 Since our Daily Dialogue theme this week is Boss, here’s a prompt: Someone’s getting fired. Your first question: From whose perspective do you write the scene? The person getting fired? The boss doing the firing? A fellow employee overhearing the firing? Write a 1–2 page dialogue-centric scene, then copy/paste as a RESPONSE. If you are interested in qualifying for 1 free Craft class with me, please note in each response you submit the number of scenes you have written. If today is your first one, note that it is Scene 1. The next one, Scene 2. And so forth. Also when you provide feedback on someone’s scene, please note in each reply the number of comments you have uploaded. So if today is your first response, Feedback 1. The next one, Feedback 2. You are on an honor system, as I don’t have time to check every response, so do the right thing! Remember: In order to qualify for one of my free Craft classes, you need to submit ten  Dialogue-Writing Challenge posts, then provide feedback on ten  posts from other writers. FEEDBACK TIP: Suggest some way to twist the exchange so there’s a surprise in the way the scene plays out. It’s the 2019 Dialogue-Writing Challenge! Give a jolt to your creative and writing muscles… and win 1 free online class with yours truly. Finally, if you have a suggestion for a dialogue-writing prompt, please post as a RESPONSE or email me. To see all of the 2015 Dialogue Writing Exercise prompts, go here. To see all of the 2016 Dialogue Writing Exercise prompts, go here. To see all of the 2017 Dialogue Writing Exercise prompts, go here. To see all of the 2018 Dialogue Writing Exercise prompts, go here. Join the challenge, improve your dialogue-writing chops, and win a free class with me! 2019 Dialogue-Writing Challenge: Day 8 was originally published in Go Into The Story on Medium, where people are continuing the conversation by highlighting and responding to this story.